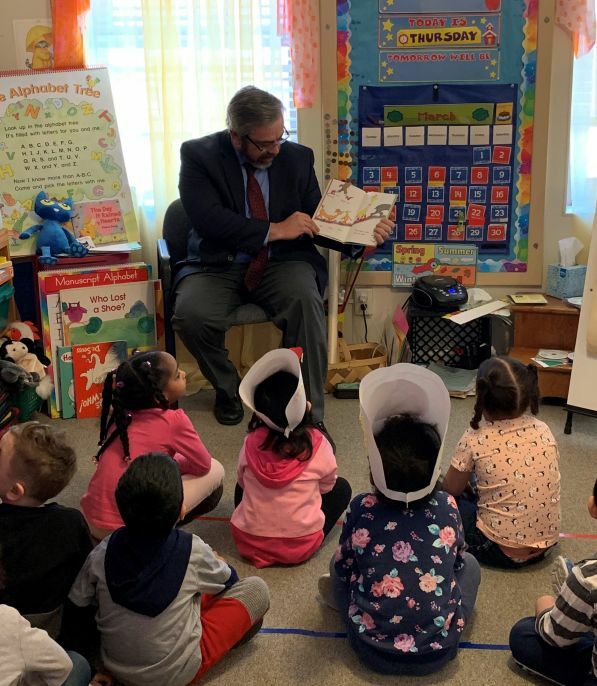 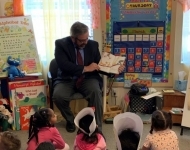 March 28, 2019 - Senator Browne (center) reads to the children of St. Luke’s Neighborhood Center’s Pre-Kindergarten class in Allentown. March 21, 2019- Senator Browne (Middle) cuts the ribbon on KidsPeace’s Innovative Addictions Treatment Program, which aims to address the specific needs of those experiencing both a mental health condition and substance addiction. 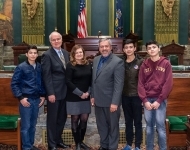 March 1, 2019 - Senator Browne speaks with Southern Lehigh High School’s Bipartisan Political Club on topics of government and civic engagement. 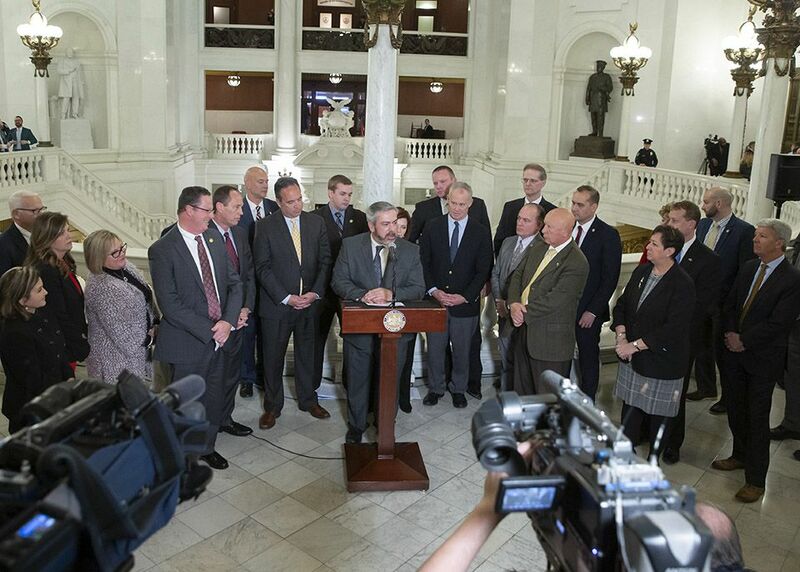 March 1, 2019 - Senator Browne announces a $250,000 grant for Germansville Fire Company to be used in the purchasing of a new fire truck. 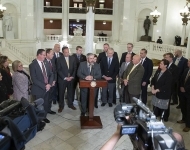 Pictured left to right: Germansville Fire Company President TJ Stellar, Chief Jay Scheffler, Deputy Chief Randy Metzger, Senator Pat Browne, Representative Gary Day and Finance Committee Chairman Tony Stellar. 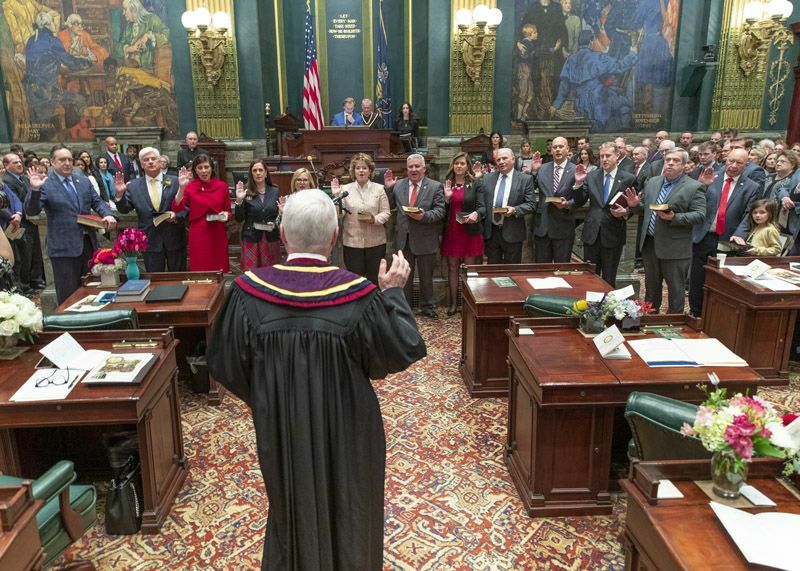 February 5, 2019- Senator Browne offers his remarks and initial reaction to Governor Tom Wolf’s 2019-2020 budget address. 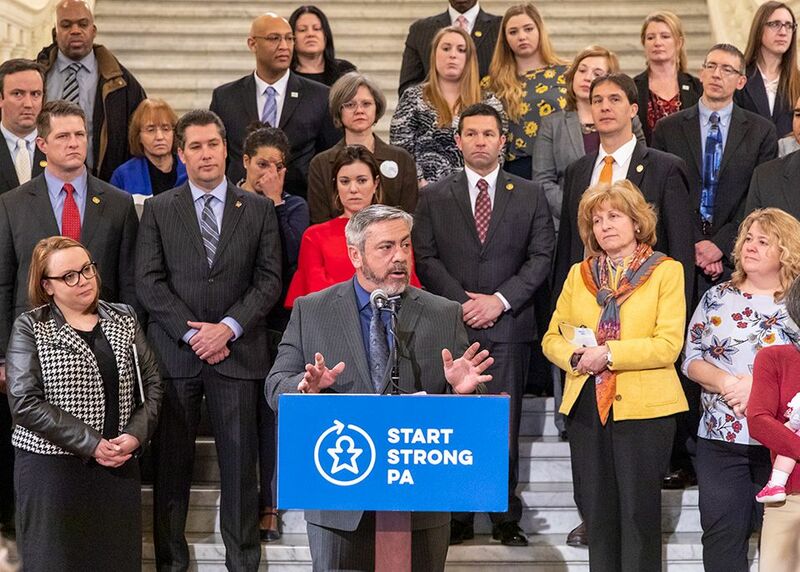 January, 29 2019 – Senator Browne participates in the Start Strong PA Campaign Kickoff, highlighting the need for financial commitment for high-quality infant and toddler child care in the Commonwealth. 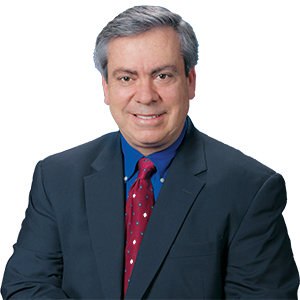 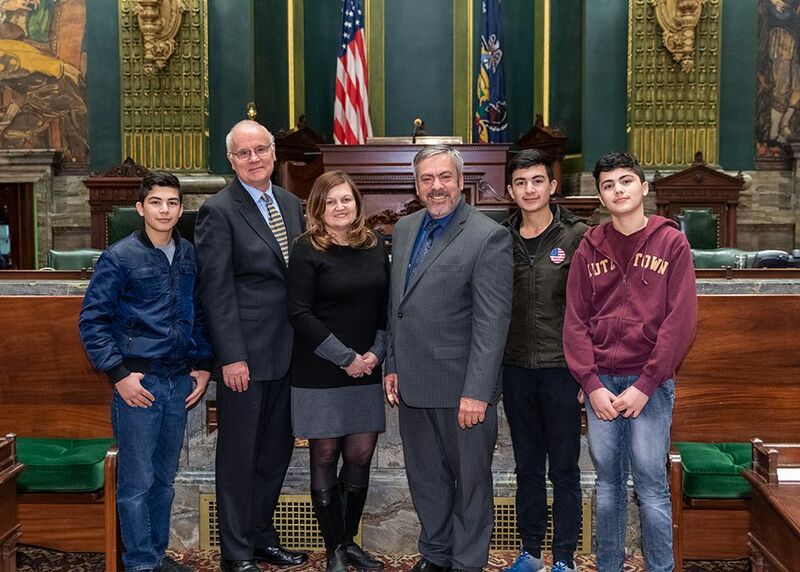 January 29, 2019- Senator Browne welcomes guest chaplain, Rev. 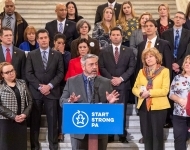 John Eric Lamb of St. Lukes Lutheran Church in Allentown, to the Pennsylvania Senate. 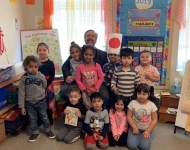 He was joined by his wife, Dr. Maritza Robert (Center Left), and three students from William Allen High School, Wasiq Malikzada, Zaki Malikzada, Rohid Malikzada. 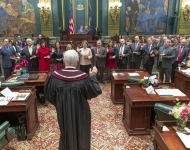 January 1, 2019 - Senator Browne (Far Right) takes the oath of office with his fellow Senators, officially beginning his 4th full-term representing the people of the 16th Senatorial District.